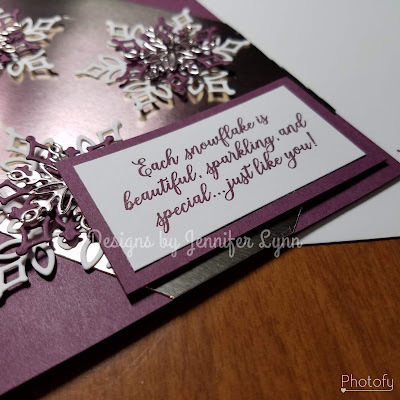 If you missed my Facebook live on my business page don't worry you can catch the replay on Facebook or view the fun cards I designed right here. For anyone looking for the dimensions or products used you can get there right here too! 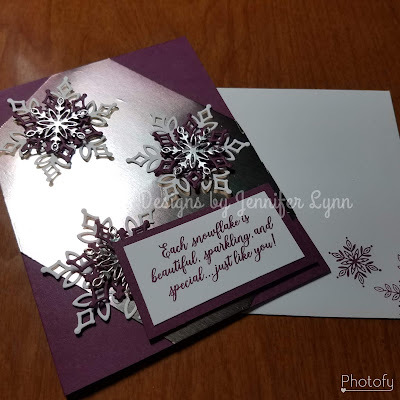 You will also 3- Large Whisper White, 3- Medium Fresh Fig, and 3- Small Champange Foil Snowflakes.